One of the biggest reasons for buying a pickup truck is to tap into that towing capability. 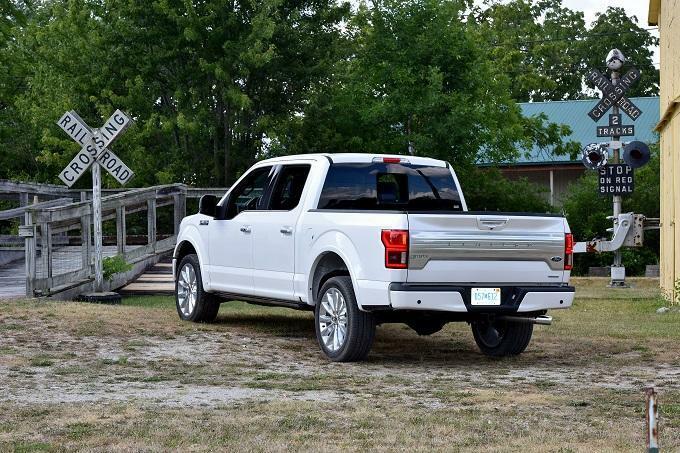 It’s natural to wonder just what the towing capacity of the 2018 Ford F-150 is. After all, Ford trucks are known for being hard workers that can take on big jobs. You’ll be pleased to know that the Ford F-150 was designed from the beginning with towing in mind. The truck has quite a few innovations to not only help you tow plenty, but also to do it safely. Plenty of our customers have been more than happy with this pickup truck, and you will be as well. Ford makes 7 distinct models of the 2018 Ford F-150, giving you plenty of choices. Of course, the capabilities of the truck depend on what you select, so it’s worth taking the time to make a wise choice. Thanks to an innovative design, the Ford F-150 has a towing capacity that’s higher than ever. It also beats out other pickup trucks in its class, providing you with the capacity to take on big jobs. When equipped with the available 3.5-litre EcoBoost twin-turbo V-6 engine, the Ford F-150 can tow up to 13,200 pounds. That’s a big figure, thanks to the engine providing a peak 470 lb.-ft. of torque and 375 horsepower, edging out competitors that use gas or diesel engines. With that kind of capability, you can connect a big trailer, boat, camper, or whatever else and do anything you need or want. It’s something you can use for both work and play, making the Ford F-150 a well-rounded truck. While it’s great to tow whatever you need, a truck should also help you handle all that extra weight safely. The Ford F-150 has standard and optional equipment designed to eliminate some of the risks of towing. Standard trailer sway control uses the AdvanceTrac and Roll Stability Control systems to strategically apply the brakes when necessary. It’s especially useful when you’re traveling on the highway. Dynamic hitch assist takes the guesswork out of connecting the truck to a trailer. A camera provides a direct line of sight, ensuring you get the hitch ball and trailer receiver lined up perfectly. Adding Pro Trailer Backup Assist simplifies the inherently difficult task of reversing while towing. This innovative tech helps both towing novices and pros, because you just rotate a knob left or right to navigate the truck and trailer. Of course, you can do more than just tow with the Ford F-150. The truck’s lightweight, advanced design helps increase its payload capacity. Throw whatever you need in the bed, whether it’s sand or rock for landscaping, furniture, lumber, a snowmobile, etc. According to Ford, the truck can handle up to 13,200 pounds in the bed, when it’s equipped with the 5.0-litre V-8 engine. A new direct-injection system for that engine boosts efficiency and capability. In fact, peak output is impressive at 400 lb.-ft. of torque and 395 horsepower. 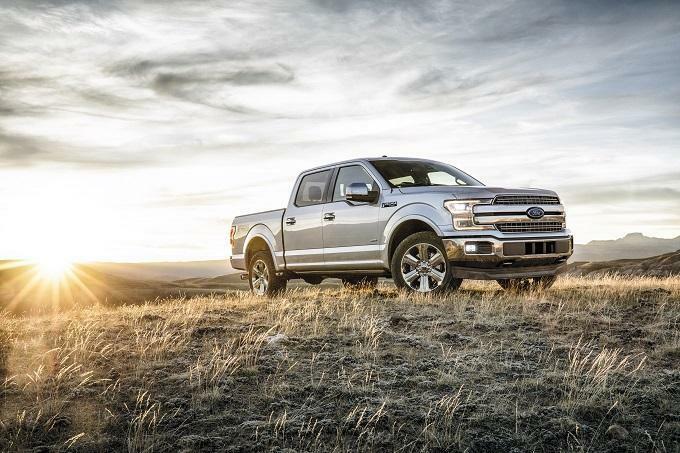 Try out the 2018 Ford F-150 for yourself today by coming to Van Isle Ford.